Toothed whales, which communicate at higher frequencies than their baleen brethren, are also disrupted by artificial noise, explains this piece from Hakai Magazine. When pioneering whale biologist Roger Payne released the album Songs of the Humpback Whale in 1970, it was a big hit. People found the cetaceans’ haunting moans beautiful and relaxing. Unfortunately, whales can’t say the same about the sounds we produce—the low rumblings of a cargo ship are decidedly less soothing. Artificial noise disrupts whales’ ability to communicate through sound, affecting their feeding and navigation. To date, most research and regulations have been aimed at understanding and preventing the disruption of big baleen whales (such as humpbacks, bowheads, and right whales) by big ships. But a new study on harbor porpoises suggests that toothed whales, such as killer whales and dolphins, may be getting an earful, too. Toothed whales use higher-frequency sounds to communicate than baleen whales do, so they can hear high-pitched anthropogenic noises such as those produced by ferries, pleasure craft, and sonar. And they may be finding them disruptive as well. Marine biologist Danuta Wisniewska, who works at Aarhus University in Denmark, had heard tales of porpoises, dolphins, and killer whales visibly reacting to a single passing ship, but she wanted reliable data. 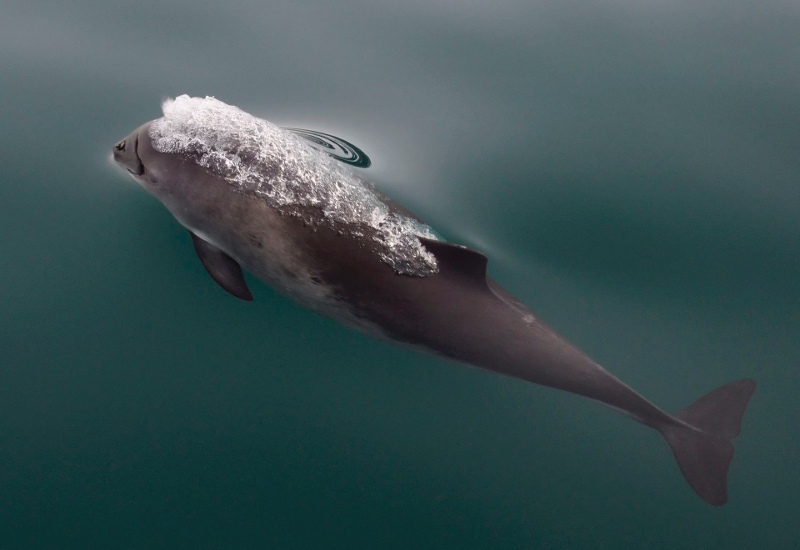 Using satellite tags and underwater microphones, Wisniewska and her team tracked seven porpoises as they moved around the Inner Danish Waters for several days. The combination of location tracking and underwater recordings let them calculate how much noise each porpoise encountered and how it reacted. The noise caused a lot of problems for the diminutive cetaceans. The porpoise that spent the most time in the loudest area of the harbor, near a shipping channel, was exposed to potentially disruptive noise in its hearing range 89 percent of the time. The porpoise in the quietest part of the harbor was still exposed to noise about 17 percent of the time. On average, the seven porpoises made shorter and fewer dives, caught significantly less prey, and stopped echolocating when loud or fast boats passed nearby. 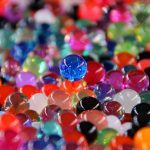 This kind of data is the key to improving regulations, says marine biologist Nathan Merchant at the Centre for Environment, Fisheries and Aquaculture Science in England. Merchant studies how noise pollution regulations can make life easier for whales. He says little data exists on how harmful noise can be, a gap he says this study helps fill. Merchant offers as an example one metric measured by the study—the amount of time the porpoises spent swimming away from noise instead of feeding. “They’re quite small cetaceans in a cold environment,” Merchant says, and they need to be hunting most of the day to sustain their metabolism. Knowing how much noise translates into how much hunting time lost, for example, can help him discover where noise limits should be set. 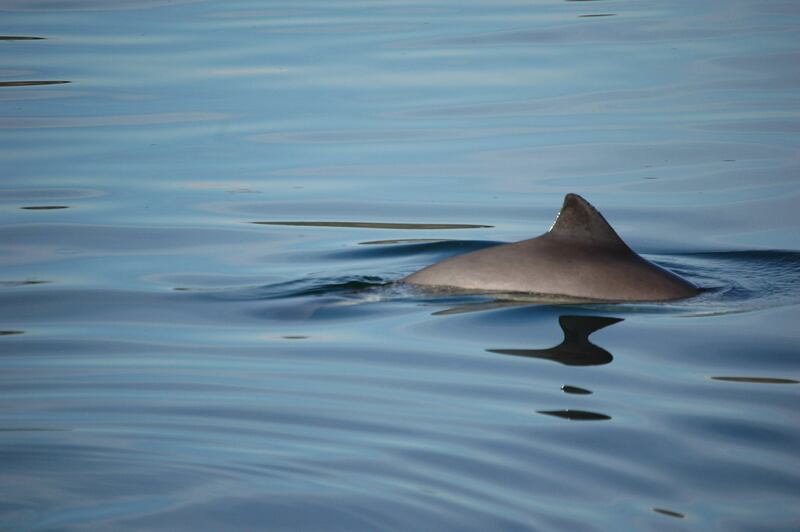 Wisniewska is now working on quantifying the less obvious ways noise affects porpoises. “We have a team working on how much more energy they expend when they’re exposed to noise,” she says. She also wants to study how high-frequency noises may be hurting more vulnerable species of toothed whales, such as the endangered southern resident killer whales in British Columbia’s Strait of Georgia. It’s likely impossible to eliminate all of our noise pollution, but with better data, perhaps we can be better neighbors. After all, whales have made it perfectly clear that they do not enjoy our latest release, Songs of the Motorboat. This article was originally published as Porpoises Flee from Noise Pollution at Hakai Magazine on 23/05/18.